Proven over generations, this ingenious, traditional use for the outer husk of a coconut is as a scraper for removing burnt on food from pans and roasting trays. The scraper has a blade-like edge at the front and a fibrous surface underneath that acts like a miniature scrubbing brush. 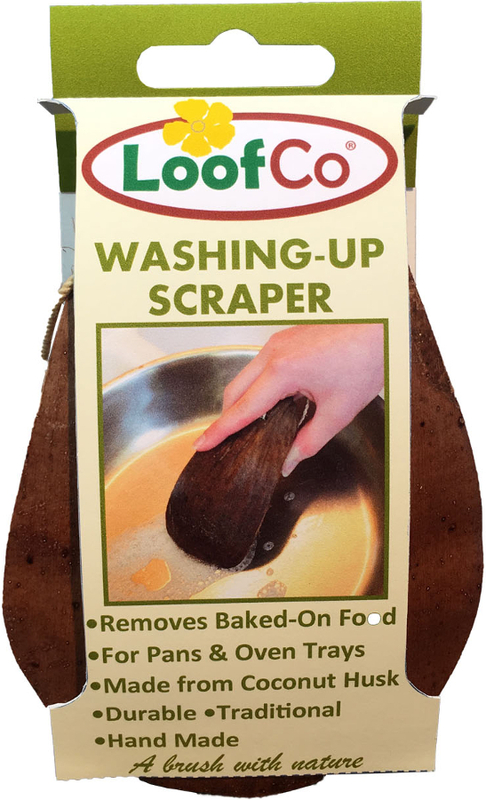 The LoofCo Washing-Up Scraper product ethics are indicated below. To learn more about these product ethics and to see related products, follow the links below. Only had to use a couple of times so far. Useful when wash pad is not enough. Removed dirt well and I think it will last a while. LoofCo products are skilfully hand crafted in Sri Lanka and Egypt by small producers. 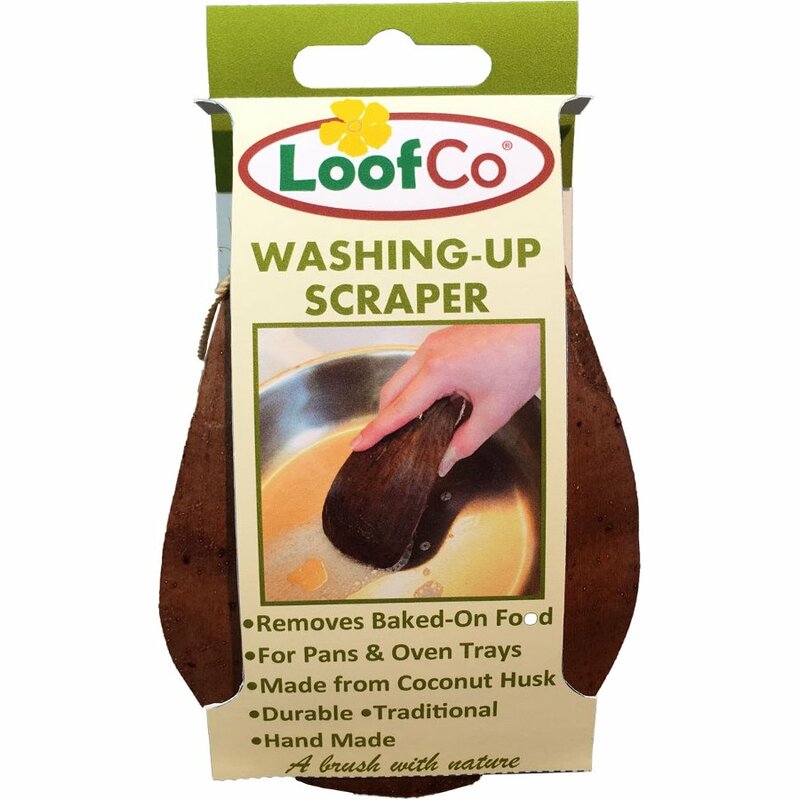 Using natural materials from the luffa plant and the coconut tree LoofCo offer a natural plastic free alternative to regular scrubbers with a unique range of biodegradable & recyclable pads, brushes & accessories for washing-up, household cleaning & body.